Unreal Lawns supply and install artificial grass in Lees and the north west of England. We serve domestic and commercial customers in the area, with products suitable for a wide range of applications from outdoor spaces and gardens, to event areas, exhibition space and more. See below for some examples of projects we've carried out in the Lees area. Unreal Lawns don't just fit our artificial grass for domestic gardens and customers. Our team also carry out a range of commercial projects for events and businesses. 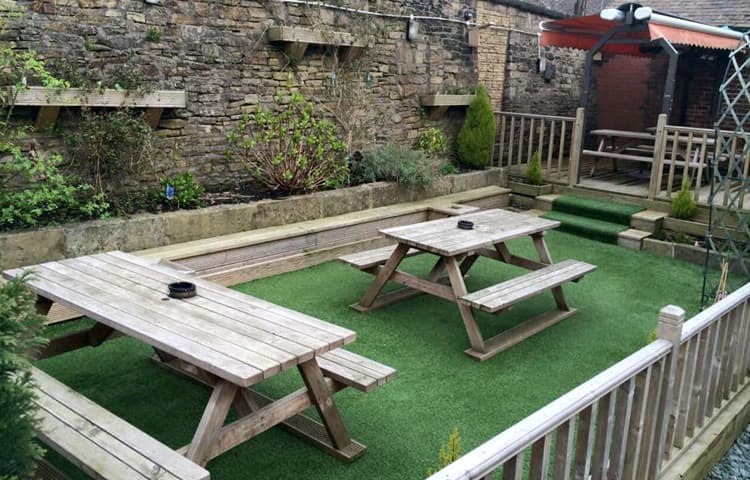 Here is The Swan Public House in Lees, Oldham where we have fitted the beer garden with artificial grass ready for the punters to enjoy during the warmer months.